FINLAND: The first commercial offshore project in Finland will be powered by Siemens turbines as the government looks at the feasibility of projects in its icy conditions. A group of eight Finnish utility companies has been developing the €120 million 40MW Yahkoluoto project in the Baltic Sea. The Suomen Hyotytuuli consortium awarded Siemens the contract to supply ten 4MW turbines to the site when installation begins in summer 2017. The project is located between 0.5km and 3km from Finland's south-west coast in water depths up to 15 metres. The turbines will be installed on specially designed steel gravity-base foundations to withstand ice-loading, prepared by Technip Offshore Finland Oy Pori. Swiss firm ABB will supply the substations and transformers. The Finnish government has contributed €20 million to develop the foundations for icy conditions. 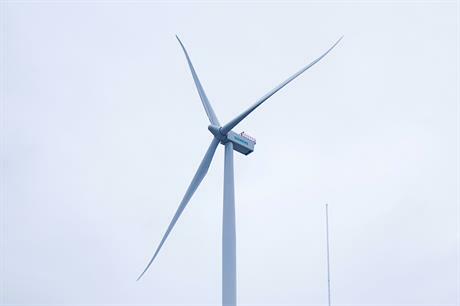 "The project... will be used by the Finnish government to demonstrate that offshore wind power is a feasible solution for this area," said Siemens offshore wind CEO Michael Hannibal. "This project is attracting a great deal of attention throughout the entire Baltic region," he added. In 2010, Siemens supplied a 2.3MW turbine to Suomen Hyotytuuli for a demonstration project in the port of Pori.